Give Away of safe products for mom and baby. Flu Shot During Pregnancy: Good or Bad Idea? Mom who used hypnosis to prepare for birth, even though she was planning on epidural. Why? She thought it would help her enjoy her pregnancy and be more calm about her birth. I LOVE this! It is so true, any mom can benefit from Hypnobabies, whether or not she wants to go un-medicated. Read a moms experience with preparing for birth with the Hypnobabies Home Study She takes you through her experience week by week. How hypnosis helps moms during pregnancy and birth. Love this post about eating during birth and how moms need real information and statistics, not just scary stories to have informed consent. VBA2C mom who didn’t have the support she needed from hospital staff and how it negatively affected her birth. Lovely video from conception to birth. Here are some great ideas of what you can do to protect your perineum, months before you even start pushing!. Diet can play a huge role and if I ever have another baby I hope my improved diet will help prevent tears. Doulas eyes and ears only tools she needs. How many doulas/midwives were prompted to become one from their negative birth experience? How the brain works for kids. I loved the How the Brain Works book and this video shows how a baby and child’s brain works. Good food for thought! Great story to help accept the thorny trials in our life. Spirit Twins – I loved this analogy between birth and death and faith. 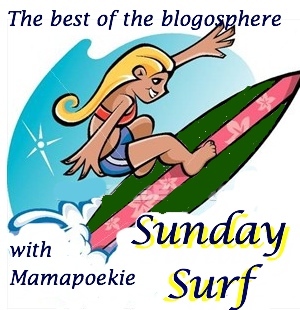 For more Sunday Surfing, visit Authentic Mothering, Mama and Baby Love, Gems of Delight, Breastfeeding Moms Unite, Domesticated Women, This Adventure Life, Maman A Droit, Hobo Mama and Baby Dust Diaries.